What is “ZECHSTEIN INSIDE” TRANSDERMAL MAGNESIUM? What is “Zechstein Inside®” Transdermal Magnesium ? In the modern industrial world, the open sea is unfortunately more polluted than ever. The need to find a source of pure magnesium, far removed from our present pollution, in order to regain a therapeutic effect and proper detoxification, is growing exponentially. One of the most effective ways to overcome magnesium deficiency caused by a depleted soil has come about through the discovery of the Zechstein Sea and Zechstein Inside® transdermal magnesium. Our ancestors had mineral-rich soils and used magnesium-rich compost, and yet they often went through great efforts to bathe in waters saturated with diverse minerals through the thalassotherapy and thermal cure culture of Ancient Greece and Rome. Our ancestors understood the magnesian mystery: good circulation and proper detoxification is greatly assisted by the simple act of saturating the skin with pure magnesium and diverse oligo-elements found in the sea. Our Transdermal Magnesium Comes from the Ancient Zechstein Sea. Coming directly from an ancient sea located 1.6km (1 mile) underground, dating back 250 million years and completely removed from atmospheric pollution, it is the purest source of magnesium on Earth, by certification. It’s not just a product, but a unique story and gift of nature. The texture of transdermal magnesium is similar to that of a dry oil. The Zechstein Inside® unique extraction process is never heated or refined, and it is bottled in its raw, natural state without the need for chemical purification, which is the industry standard for magnesium chloride. It’s all about the source. From unique mineral deposit layers found under the Netherlands, this “white gold”, as they call it in Holland, is of the highest quality. We let nature do the purification for us over 250 million years, leaving a raw state, pure transdermal magnesium. 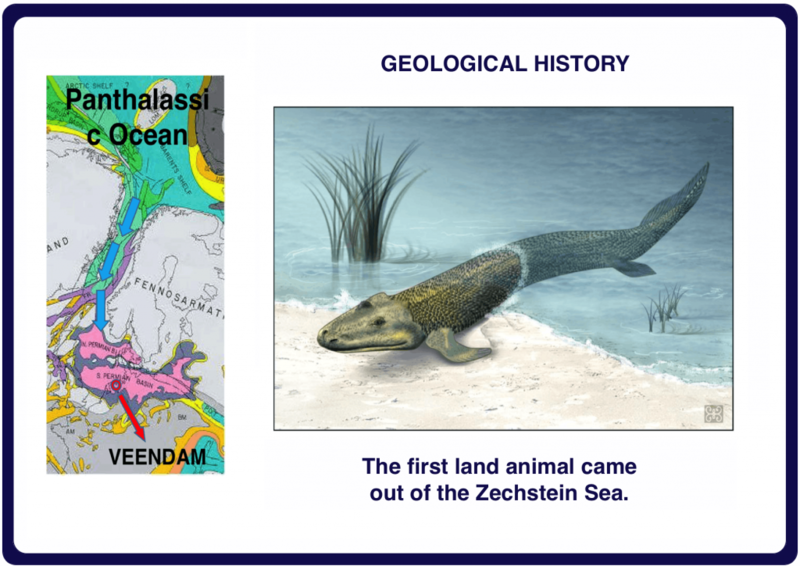 Click on the image for the geological history and discovery of the Zechstein Sea 1 mile underneath Veendam, Netherlands. 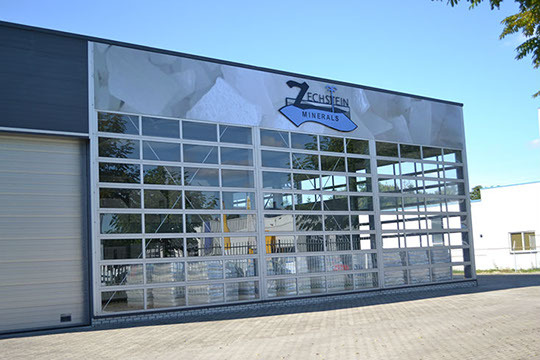 “Natural and Pure” or even the word “Zechstein” is not a guarantee without the Zechstein Inside® logo. 80% of magnesium is imported from Asia, where it is chemically purified and refined for export as magnesium oil, not to mention difficult working conditions. 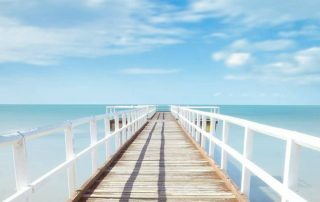 Even companies that source their products from the open sea or salt lakes must chemically “upgrade” them to clean out heavy metals and contaminants. These products are often less expensive and are sold in plastic bottles. Our unique pure magnesium chloride layers from the crystallised Zechstein Sea underneath the Netherlands are without comparison. 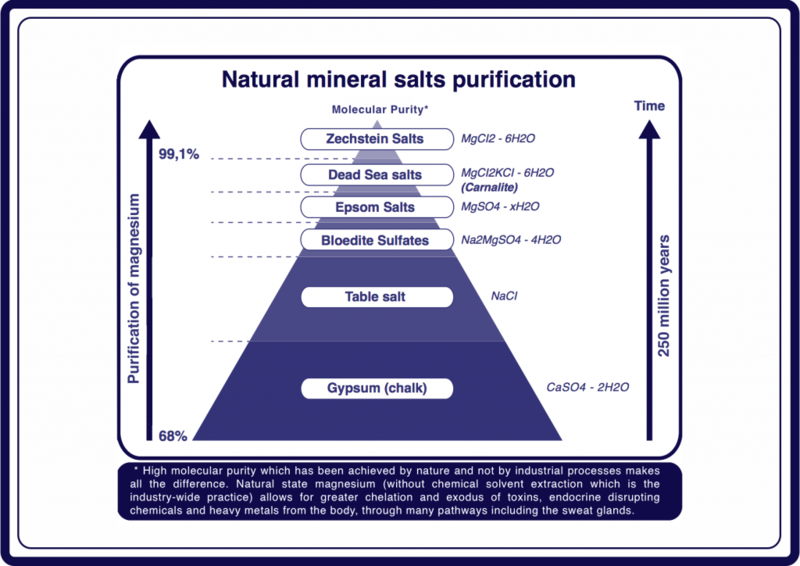 This is the only transdermal magnesium to be studied for the elimination of heavy metals in the human body. Purity is the key. Click on the image to see how minerals undergo natural purification over millions of years. Our extraction process only uses spring water, which is also certified for purity standards, to dissolve the magnesium salt layers. We offer total transparency. Anyone may call the source in the Netherlands to verify the origin and purity. This in and of itself is a rarity in the magnesium market. There is no need to separate the magnesium from other minerals or contaminants because the rock strata are pure magnesium. The scientific name of pure magnesium chloride in the natural state, i.e. in stratum form, is bischofite. The higher the bischofite quality (its concentration of pure magnesium chloride), the greater the purity of the magnesium oil. Magnesium oil is not difficult to recreate or “upgrade” by chemical processes using industrial potassium mining “derivative magnesium”, but in Holland, it is found in the pure state, where the Zechstein Sea is found. The marketing “Zechstein” can be used to falsely advertise, as this word cannot be protected by law, but the “Zechstein Inside®” logo is a sure bet as far as its origin and extraction is concerned. Layers and layers of abundant stratum result from a natural purification within the earth. When the source is pure, no transformation is needed. 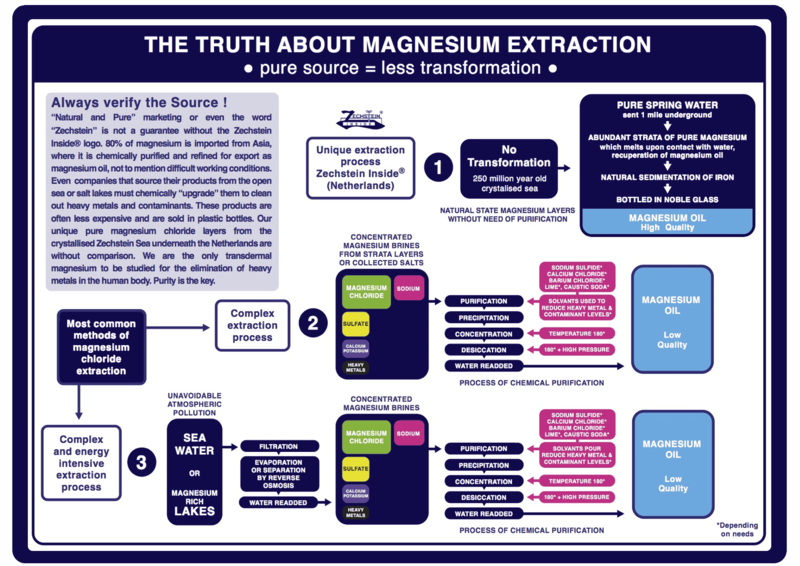 Click on the image to see what they do not tell you about magnesium extraction.